2. Add gateway / trunk for outgoing fax at "ICTPBX System" => "Provider Trunks"
3. In ICTFAX 2.0 and onwards, only one gateway/trunk will be used for calling. 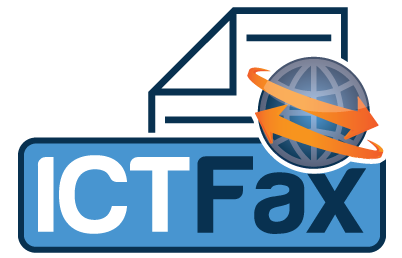 So routing is not supported in new version of ICTFAX. 4. Update rate list for "FAX" rate plan at "ICTPBX System" => "Rates". 5. Register (Sign up) a new user by registering from http://DOMAIN.COM/ictfax/?q=user/register. Directly adding user from admin=>people is not supported. Once user is registered, it is blocked by default. Login in as admin and Activate it from admin=>People. (Sign up process can be changed from admin => configuration => Account settings. 6. Create VoIP account for newly created user at "ICTPBX System" => "Account Management". This will also enable the user and sets some default package. 7. Add some balance in newly created VoIP account via "AstBill Admin" => "Payments" => "Create New Payments"
10. Send new fax via "FAX Account" => "Fax Outbox" => ""Create New FAX"
NOTE: Attach only a single file. Every time create new email message and give unique email subject. Using Forward or Reply may confuse ictfax system with some previous email subjects. 2. Configure freeswitch to receive traffic for this DID provider. 3. Usually only IP address of the DID provider is sufficient to be added in ACL. 5. Add incoming did number at "ICTPBX System" => "DID Numbers"
6. Assign a DID number to previously created VoIP Account from "ICTPBX System" => "Assign/Release"
9. Click on "Settings" => "My Incoming Numbers"